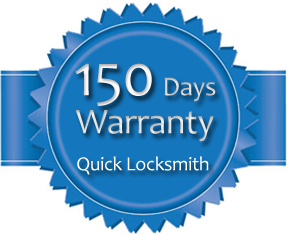 Established almost 20 years ago, Quick Locksmith is a trusted Locksmith company with many offices in the Los Angeles Area. Our services include emergency lockout, commercial services, residential services, lock and key services, and much, much more. We strive to provide quick and reliable service to our customers in a friendly manner. Our customer service representatives are available 24/7 to respond to your requests quickly and courteously. And we give you only the best service possible connecting you with the right professional for the job. We rigorously train our technicians on locks such as Schlage and respond quickly to local service calls. With years of experience, we make sure that our Locksmiths stick to the highest standards of quality and dedication at all times. As a result, we ensure that you will be 100% satisfied with our service when we finish the job. Also included in every locksmith visit is a free estimate and security check for your home or business upon arrival. So the next time you find yourself in a pinch, call us and we will get you back to your life. We love our customers and appreciate all the feedback we get as it helps us grow better as a business.